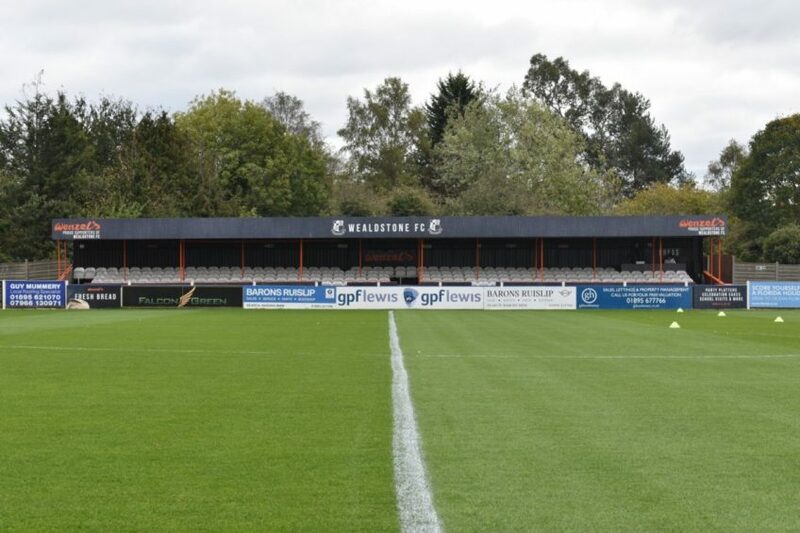 Billericay make the trip to the Vale to play Wealdstone FC on Saturday. The match brings together two sides that have both endured a series of indifferent results in December but are now in much improved form. In what will be Harry Wheeler’s first away match of his second spell at the helm, the revitalised Stones are sure to provide the Essex side with a tough test. Blues have overcome a difficult Christmas period, including a brutal 5-1 reverse on Boxing Day away to local rivals, Chelmsford City. Since the departure of previous manger, Dean Brennan, in early January, Billericay have remained unbeaten in their last three fixtures. Blues sit fifth in the table buoyed by a draw away at Concord Rangers under Jamie O’Hara and two successive home wins under Wheeler against Welling United and, on Tuesday night, Slough Town. Improving Stones stuttered through December, incurring home losses to Eastbourne, Slough Town, and Oxford City. A crippling injury list was a major contributor to the poor results. With the team disrupted, manager, Bobby Wilkinson has worked hard to integrate new players into the squad. A win last time out away at high-flying Woking is a good barometer of progress. Unbeaten in 2019, the club has climbed to 10th and are within 3 points of the play-off zone. Billericay’s last fixture against Wealdstone was at the AGP on August 11th. Blues, under Harry Wheeler, battled to a narrow 1-0 home win courtesy of a first-half strike from prolific centre forward, Jake Robinson. On a day when the home side lacked its usual fluency, Wealdstone at times looked the better side. The Ruislip based team could consider themselves unlucky to have gone home with nothing after failing to convert a penalty or turn good approach play into clear chances. Nobody at Billericay will watch a game versus Wealdstone without thinking back ruefully to the famous 2-5 reverse suffered almost one year ago in the FA Trophy Quarter-Final. As a reminder, we should see three survivors on Saturday from that Stones starting X1 in goalkeeper, Jonathan North, defender, Jerome Okimo, and attacking midfielder, Danny Green. Hat-trick hero that day, Bradley Bubb, is still at the club. Unfortunately, the Grenadian international has a serious knee injury and will be out for an extended period. We all wish Bradley a successful recovery during this challenging time. 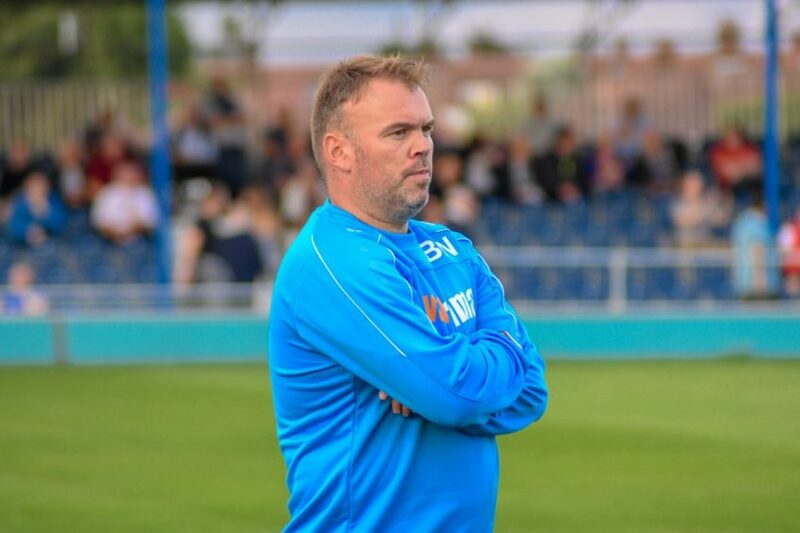 Having been appointed as manager in late August 2017, ex-Hungerford Town boss, Bobby Wilkinson, is in his first full season in charge at the club. Last year, the Stones reached the FA Trophy Semi-Finals but finished a disappointing 11th and eight points adrift of the play-off places. This season, after starting brightly, and looking every inch promotion hopefuls, form had temporarily dipped. Billericay will however run up against a team on the rise. Falling at one stage to mid-table, Wealdstone are now in good form and moving up the League with play-off positions now within reach. The best of the Stones did the double over Woking without conceding a goal – the only side in the League to shut out the Surrey side. The worst of the Stones was seen in December as a succession of home losses to lesser sides were incurred. With a settled side, and an excellent January under their belts, the corner looks to be turned. Wealdstone now sit 5th in the form league (last six matches). Injuries have hit the Stones all over the pitch although this has been particularly pronounced in the full-back position. Dynamic, young left–back, Freddie Grant, who impressed with his forward runs in our August match-up, has been out with a serious knee injury since mid-October. He is progressing well but is not expected back for several weeks. Rhys Tyler, playing on either flank, picked up an injury in early December at St. Albans and is out till mid-February. With Barnet loanee, Joe Payne, coming in to play left-back and soon returning to his parent club with an injury, the Stones full back role appears almost unlucky. Next to try his luck at left full-back is Reading U-23 loanee, Ramarni Medford-Smith. With a 7 game run in the role, he appears well set and should feature at the weekend. With a red card against Woking making right-back Jake Sheppard unavailable for the Billericay game, Wilkinson has a lack of alternative options in that position and may have to revise the shape of the side to compensate. One of the Stone’s strengths is its central defence where ex-Watford man, Connor Stevens has been a strong performer. He has settled into an impressive defensive pairing with versatile, ex-Stevenage defender, Jerome Okimo. Whilst Wilkinson has tended to prefer a 4-3-3 formation in recent weeks, he has at times brought in extra defender, Glenn Wilson, to revert to a 3-5-2. In my view, with the full-back issue, a three man back-line could well be under consideration for Saturday. With Wealdstone seen as a tough side to play against, the midfield engine room has a powerful look to it comprising experienced defensive midfielder, Godfrey Poku. 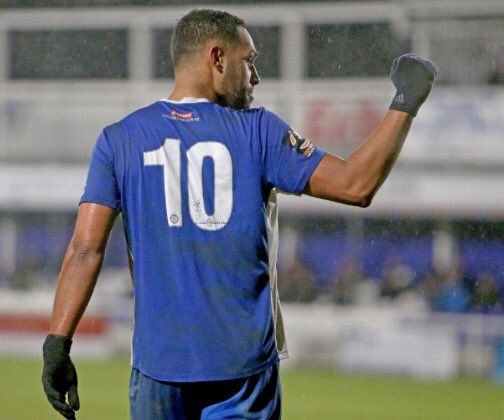 With usual midfield partner ex-Staines player, Wadah Ahmidi taking a break from football for personal reasons, Stones moved to bring in box-to-box midfielder, Simon Mensah, from Dartford last October. Also augmenting the centre of the pitch, combative midfielder, Christian Smith arrived from National League side, Maidenhead United at the end of November. More recently, Crawley U-23 midfielder, Tarryn Allarakhia, 21, has joined up with the Stones in January. Within a front three, the side from the Vale use ex-Chippenham striker, David Pratt, centrally. He is comfortable on either foot and is an essential part of the Stones’ high press game plan. Having endured a lean spell in front of goal after a good start, Pratt has overcome a recent back injury to return to the goal trail in recent weeks. A brace against Concord and a strike at Woking last Saturday take him to nine League goals this season. The loss of Bubb to injury is a major blow. Operating on either flank in advanced positions are left sided Danny Green, and one from Allarakhia, or winger, Jeffrey Monakana. Green, who is Wealdstone’s most creative player, also likes to pick up the ball in midfield and move forward. He provides the ammunition for the front players, takes set pieces, and can also play in the role of a deep lying striker. Left winger, Bradley Hudson-Odoi, recently left the Stones after a frustrating season hit by a number of injuries. Billericay approach the fixture this weekend in good spirits. 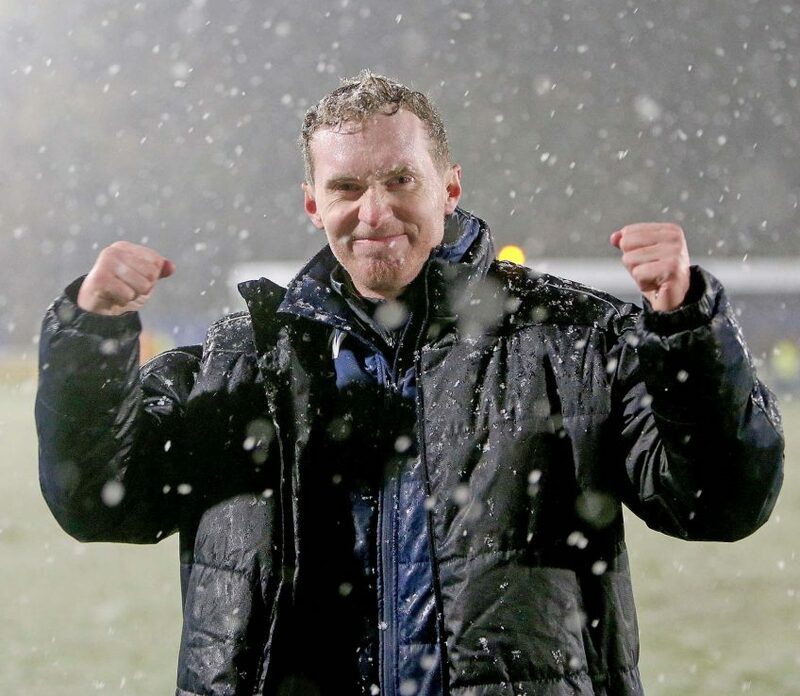 Under the new management team of Wheeler and his assistant manager, Jamie O’Hara, the team are unrecognisable from the hesitant performers thrashed by Woking and Chelmsford City in late December. With structure, organisation, and work-rate restored, the Blues head into hostile territory brimming with confidence. Blues look to have settled on a 4-3-3 line-up and a defence that appears much more resilient to pressure and is able to withstand set piece routines. The arrival of new centre-back, Charlie Wassmer has undoubtedly provided additional experience at the back and helped his partnership with Paul Rooney. Michee Efete has been a revelation with his enthusiasm to make forward runs while staying secure at the back and Joe Kizzi is thriving again at right back. Midfield has a solid look with the strength of Danny Waldren, commitment and work-rate of Jake Howells, and the creativity and goal threat of the impressive Kieron Cadogan. 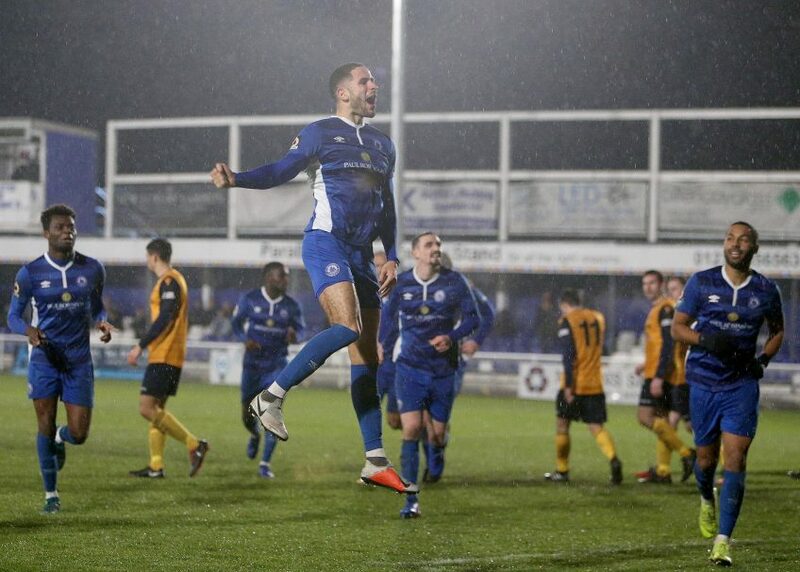 With Adam Coombes full of confidence and scoring his 12th League goal of the season with a thunderous free-kick versus Slough Town, and Moses Emmanuel also regularly on the score-sheet, Blues look a threat. We expect striker Ross Lafayette to complete the starting X1. With Jamar Loza and Sam Deering likely to be fit, we expect both to at least feature on the bench. Saturday should bring an exciting contest. Both sets of fans are likely to be treated to the best that their in-form sides can offer as two genuine play-off contenders go head-to-head. A Wheeler v Wilkinson match-up should bring a tight game characterised by a high work-rate. It could be a moment of quality from either side that allows the victors to take home the vital three points. Enjoy the game and, Blues fans, if you can’t make the trip to Ruislip, we are covering the game with live commentary @btfcliveradio via the club app. Wealdstone FC: W, W, D, D, W, L (Form Table; 5th Last Six Matches). Billericay Town: W, W, D, L, W, L (Form Table: 6th Last Six Matches). Leading Goalscorer: *Adam Coombes (12 League Goals). *Jake Robinson 13 League Goals Now at Maidstone United.